This article is about the year 1736. 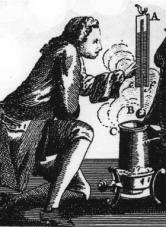 Wikimedia Commons has media related to 1736 . May 26: Battle of Ackia. 1736 ( MDCCXXXVI ) was a leap year starting on Sunday of the Gregorian calendar and a leap year starting on Thursday of the Julian calendar , the 1736th year of the Common Era (CE) and Anno Domini (AD) designations, the 736th year of the 2nd millennium , the 36th year of the 18th century , and the 7th year of the 1730s decade. 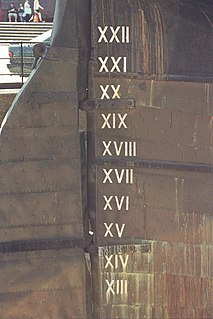 As of the start of 1736, the Gregorian calendar was 11 days ahead of the Julian calendar, which remained in localized use until 1923. A leap year starting on Sunday is any year with 366 days that begins on Sunday, 1 January, and ends on Monday, 31 December. Its dominical letters hence are AG, such as the years 1888, 1928, 1956, 1984, 2012, 2040, 2068, 2096, 2108, 2136, 2164, and 2192 in the Gregorian calendar or, likewise, 1996 and 2024 in the obsolete Julian calendar. January 23 – The Civil Code of 1734 is passed in Sweden. January 26 – Stanislaus I of Poland abdicates his throne. February 12 – Francis I, Holy Roman Emperor marries Maria Theresa of Austria, ruler of the Habsburg Empire. April – The Genbun era begins in Japan. The era of Kyōhō Reforms ends. March 8 – Nader Shah, founder of the Afsharid Dynasty, is crowned Shah of Iran. March 31 – Bellevue Hospital was founded. April 14 – The Porteous Riots erupt in Edinburgh, after the execution of smuggler Andrew Wilson, when town guard Captain John Porteous orders his men to fire at the crowd. Porteous is arrested later. May 8 – Frederick, Prince of Wales, marries Princess Augusta of Saxe-Gotha. May 26 – Battle of Ackia: British and Chickasaw Native Americans defeat French troops. June 8 – Leonhard Euler writes to James Stirling, describing the Euler–Maclaurin formula, providing a connection between integrals and sums. The Civil Code of 1734, was passed by the Swedish Riksdag of the Estates in 1734, and put in effect after it had been ratified by Frederick I of Sweden 23 January 1736. It became the foundation of the later civil code in Sweden as well as in Finland, which was then a Swedish province, though many alterations have been made since. The current Swedish Code of Statutes is founded on the civil code of 1734. July – Russo-Turkish War (1735–39): Russian forces under Peter Lacy storm the Ottoman fortress of Azov. September 7 – An Edinburgh crowd drags John Porteous out of his cell in Tolbooth Prison, and lynches him. December 7 – Benjamin Franklin builds the first volunteer fire company in Philadelphia. December 26 – Andrew Michael Ramsay gives an oration, in which he relates the heritage and internationalism of Freemasonry to that of the Crusades. Peter Graf von Lacy was an Irish military commander who served in the Imperial Russian army, he was one of the most successful Russian imperial commanders before Rumyantsev and Suvorov. During a military career that spanned half a century, he professed to have been present at a total of 31 campaigns, 18 battles, and 18 sieges. He died at Riga, of which he for many years served as governor. Azov, formerly known as Azoff, is a town in Rostov Oblast, Russia, situated on the Don River just 16 kilometers (9.9 mi) from the Sea of Azov, which derives its name from the town. Population: 82,937 (2010 Census); 82,090 (2002 Census); 80,297 (1989 Census). Neustrelitz becomes the capital of Mecklenburg-Strelitz. Bushehr is founded in Persia. The Belgrade Fortress is completed. George Hamilton, 1st Earl of Orkney, becomes the first Field Marshal of Great Britain. A fire in the Russian city of Saint Petersburg burns 2,000 houses. A fire in Stony Stratford, England consumes 53 houses. One of the earliest records of use of a bathing machine is made at Scarborough, England. Muhammad ibn Abd al-Wahhab writes the Kitab at-tawhidt, marking the beginning of Wahhabism. The Haidamakas raid the shtetl of Pavoloch, killing 35. Neustrelitz is a town in the Mecklenburgische Seenplatte district in the state of Mecklenburg-Vorpommern, Germany. It is situated on the shore of the Zierker See in the Mecklenburg Lake District. From 1738 until 1918 it was the capital of the duchy of Mecklenburg-Strelitz. From 1994 until 2011 it was the capital of the district of Mecklenburg-Strelitz. The Duchy of Mecklenburg-Strelitz was a duchy in northern Germany, consisting of the eastern fifth of the historic Mecklenburg region, roughly corresponding with the present-day Mecklenburg-Strelitz district, and the western exclave of the former bishopric of Ratzeburg in modern Schleswig-Holstein. At the time of its establishment, the duchy bordered on the territory of Swedish Pomerania in the north and of Brandenburg in the south. Bushehr, or Bushire, is the capital city of Bushehr Province, Iran. At the 2006 census, its population was 161,674, in 40,771 families. June 14 is the 165th day of the year in the Gregorian calendar. There are 200 days remaining until the end of the year. 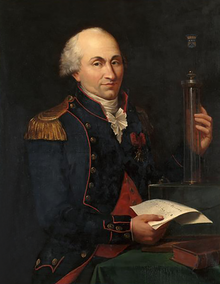 Charles-Augustin de Coulomb was a French military engineer and physicist. 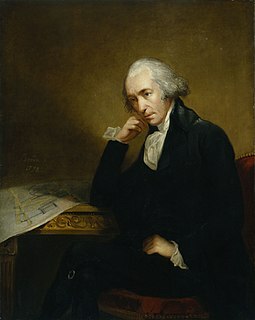 He is best known for developing what is now known as Coulomb's law, the description of the electrostatic force of attraction and repulsion, but also did important work on friction. 1739 (MDCCXXXIX) was a common year starting on Thursday of the Gregorian calendar and a common year starting on Monday of the Julian calendar, the 1739th year of the Common Era (CE) and Anno Domini (AD) designations, the 739th year of the 2nd millennium, the 39th year of the 18th century, and the 10th and last year of the 1730s decade. As of the start of 1739, the Gregorian calendar was 11 days ahead of the Julian calendar, which remained in localized use until 1923. 1658 (MDCLVIII) was a common year starting on Tuesday of the Gregorian calendar and a common year starting on Friday of the Julian calendar, the 1658th year of the Common Era (CE) and Anno Domini (AD) designations, the 658th year of the 2nd millennium, the 58th year of the 17th century, and the 9th year of the 1650s decade. As of the start of 1658, the Gregorian calendar was 10 days ahead of the Julian calendar, which remained in localized use until 1923. 1686 (MDCLXXXVI) was a common year starting on Tuesday of the Gregorian calendar and a common year starting on Friday of the Julian calendar, the 1686th year of the Common Era (CE) and Anno Domini (AD) designations, the 686th year of the 2nd millennium, the 86th year of the 17th century, and the 7th year of the 1680s decade. As of the start of 1686, the Gregorian calendar was 10 days ahead of the Julian calendar, which remained in localized use until 1923. ↑ Piippola, Takalo. "Degree measurements by de Maupertuis in the Tornionlaakso Valley 1736-1737" . Retrieved 2012-05-06. ↑ Journal du voyage fait par ordre du roi à l'équateur. Paris. 1751. ↑ Theorematum Quorundam ad Numeros Primos Spectantium Demonstratio. ↑ An Introduction to the Doctrine of Fluxions, and a Defence of the Mathematicians Against the Objections of the Author of the Analyst.